Nashville's Family Safety Center hosted its first domestic violence homicide memorial ceremony. 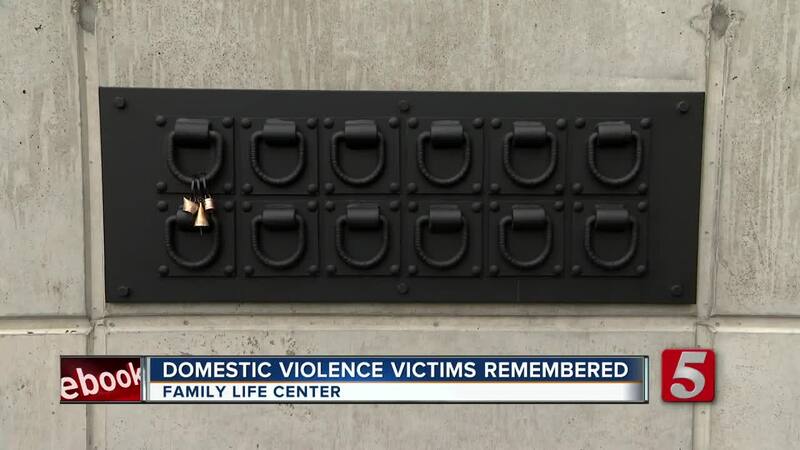 NASHVILLE, Tenn. (WTVF) — Nashville's Family Safety Center hosted its first domestic violence homicide memorial ceremony. During Thursday's event, they hung three bells in the courtyard to remember each Nashvillian who died last month from domestic violence. A spokesperson for the group says the ceremonies will take place once to month in hopes to support those mourning and remember the lives lost. The Family Safety Center is set to open next month, serving victims and survivors of domestic violence, sexual assault, human trafficking, elder abuse and child abuse.